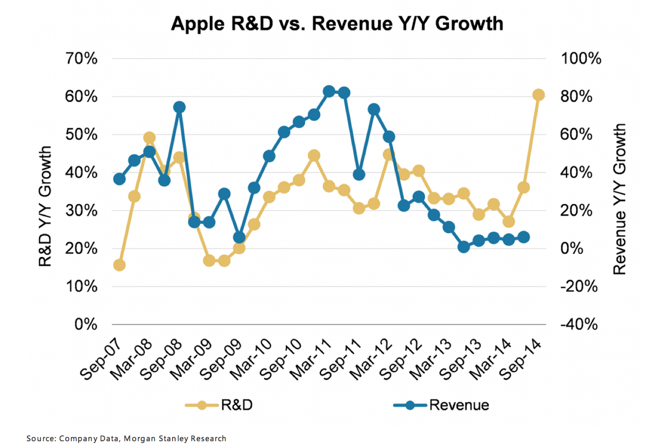 For those of you still skeptical that Apple is gearing up for a blockbuster fall, check out this report from Morgan Stanley’s Katy Huberty. The analyst dug through its just-released 10-Q filing, and she says it reveals a lot about its upcoming plans. Here’s the breakdown via BusinessInsider. The increase is seen in Apple’s off-balance sheet commitments, which covers spending on stuff like manufacturing, parts, advertising, research and development, communications, Internet and other services. Huberty says that Apple’s total commitments hit $21 billion at the end of its June quarter, which is up 46% year-over-year and 36% over the last quarter. Again, this is the highest sequential growth we’ve seen in Q3 since the original iPhone launch. 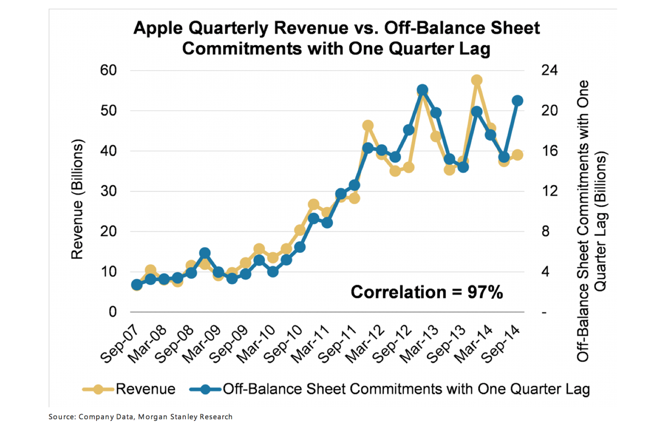 Additionally, history tells us that Apple’s off-balance sheet commitments have a 97% correlation with revenue growth. So when you see a spike in its spending, it’s usually followed by a spike in revenue. This too, suggests new products are coming. So what are the new products? The consensus is that Apple is going to unveil a new smartwatch this fall, which would be its first entry into a major new market since the iPad in 2010. 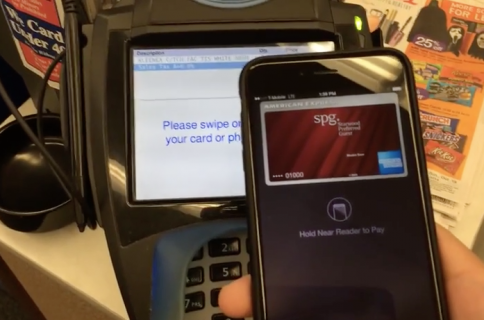 A significant iPhone refresh is also on the menu, as are new Macs. All of this is to say that we should be in for an exciting couple of months. The festivities are expected to begin in mid-September, with an iPhone press conference, and continue in October with a similar media event for the so-called iWatch. Stay tuned.